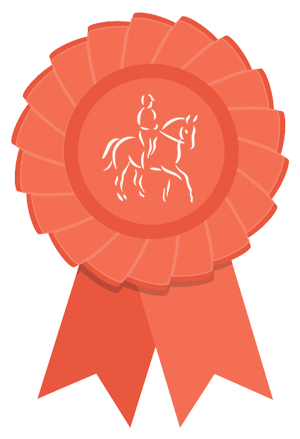 amongst riders and to improve and maintain the standard of riding and horsemastership. c) To organise instructional meetings, lectures and competitive events and other activities deemed to further the Objects.  d) To be affiliated to the British Horse Society and to support and co-operate with recognised organisations interested in the breeding and use of all breeds and types of horses and ponies. e) To investigate the subject of bridle tracks and rights of way with a view to opening those that have been closed and maintaining and more clearly defining those that are in existence. f) To concern itself with any object which will benefit the horse and horse user in the district. 3. This shall consist of persons who have attained the age of 17 years and, having been elected by the Committee, have paid the due subscription for the current period. Honorary membership may be conferred by the Committee upon any person deemed by them to have rendered notable service to the Club. Persons between the ages of 13 and 17 may join as Junior Members. 4. Anyone desirous of becoming a member shall be proposed and seconded by another and his or her name and address forwarded to the Honorary Secretary of the Club on the appropriate nomination form. 5. The annual subscription shall be payable on the first day of the Club’s financial year. Any member whose subscription is more than three months in arrear shall have his or her name removed from the Membership List after written notice to this effect has been sent to him or her. Any member joining the Club on or after August 1st shall be deemed to have paid his or her subscription for the current year. 6. The Committee may expel from membership of the Club any member who has willfully disobeyed any of the rules of the Club, or who has in the opinion of the Committee been guilty of any conduct derogatory to the character or prejudicial to the interests of the Club, provided that before expelling him or her the Committee shall call upon him or her for an explanation of his or her conduct and shall hear what he or she may wish to urge in his or her defence. a) All powers of management shall be vested in a Committee consisting of a minimum of 6 Committee Members, of which four will hold the following offices: Chairman, Vice Chairman, Hon. Secretary, and Hon. Treasurer. Four members shall form a quorum. d) The decision of the Committee shall be final unless overruled at a General Meeting. e) The Committee shall be the sole authority for the interpretation of the rules or for anything relating to the Club not provided therein and their decision shall be final and binding on the members. f) The Committee shall have the power to fill any casual vacancy arising among members of the Committee, but any person so co-opted shall retain office only until the next following Annual General Meeting and shall then be eligible for re-election. 8. The financial year of the Club shall commence on 1 October in each year. 9. e The annual subscription shall be £25.00 (Riding Members), £10.00 (Non-Riding Members),or other such sum as shall from time to time be determined by the Committee. New Members shall pay£5.00 entry fee on joining. 10. The Club, at the Annual General Meeting, may appoint a President and Vice Presidents. These shall not by virtue only of such appointment become members of the Committee. a) To receive and if approved to adopt a Statement of the Club’s Account to the end of the preceding year. d) To deal with any special matter which the Committee may desire to bring before the members and to receive suggestions from the members for consideration by the Committee. Notice convening the General Meeting shall be sent to the members not less than 14 days before the meeting and shall specify the matters to be dealt with. 12. A Special General Meeting may be called by the Committee or by a request signed by not less than five members specifying the business to be discussed. The Secretary shall give all members 10 days notice of the date of such a meeting and shall specify in such notice matters to be dealt with at such a meeting. 13. The accounts of the Club shall be audited each year by the person appointed at the previous Annual General Meeting. 14. Notice may be given to any member by sending it by post to him at his address in the United Kingdom registered in the records of the Club. If any member has no address in the UK, such members shall not be entitled to receive any notice. The accidental omission to give notice of a meeting to or the non-receipt of a notice of a meeting by any member shall not invalidate the proceedings of that meeting. 15. These rules may be added to, repealed or amended by resolution at any Annual or Special General Meeting, provided that no such resolution shall be deemed to have been passed unless carried by a majority of at least two-thirds of the members present and voting thereon, and provided that prior notice has been sent to all members stating the proposed amendment. 16. The Club, its Committee or persons acting on their behalf shall not be held responsible for any accident or injury to any person or property howsoever caused. 17. Members shall be correctly turned out at all mounted club events. Hard Hats must be worn to at least the minimum standard with harness properly adjusted and fastened. Hats marked: British – PAS 015:1998 or 2011/BSEN1384:1997 or 2012, provided they are BSI Kitemarked. European – EN1384:1996 provided they are BSI Kitemarked. American – A1l SE1, ASTM F 1163:2004a or 04a; SNELL E20101, Australia & New Zealand – A1l SAI AS/NZS 3838:2006 or SEI. Skullcup hats must be worn with a silk.